Compared to sales via a mobile app, voice-based sales are reported to have higher conversion rates. One reason might be the seamless shopping experience for the customer. On Alexa, it becomes so simple and convenient for the customer to buy. It is enough to say “Yes, I want to buy” and Amazon takes care of the rest. No need to enter cumbersome credit card information. This is possible, because the identity of the customer is known to Amazon, and the preferred payment method of the customer is known to Amazon. So all the overhead usually associated with online shopping, such as getting the credit card, punching in several numbers, the address, and contact information, can be eliminated. 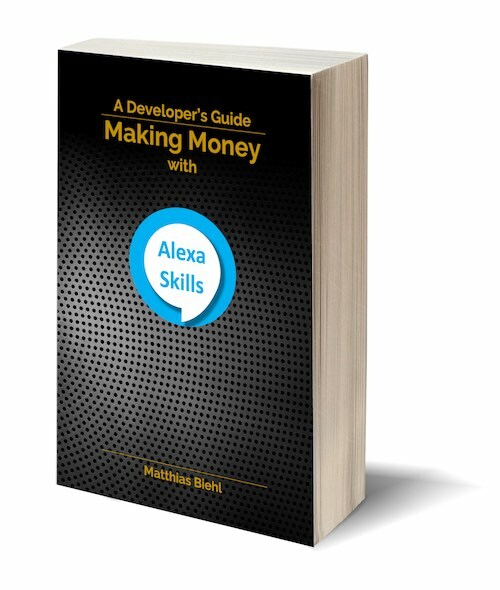 In my new book “Making Money with Alexa Skills – A Developer’s Guide” I describe not only how to develop, but also how to monetize Alexa Skills. ← How do Alexa Skills work?